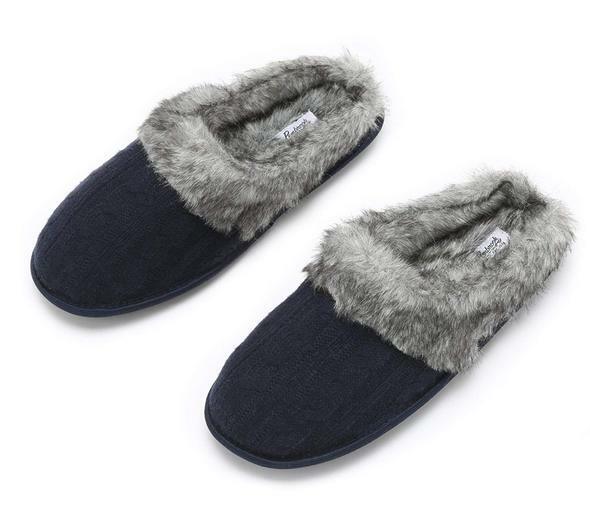 Grab a pair of these Pembrook Ladies Faux Suede and Fur Memory Foam Slippers for a super low price when you use the code EMUPZJGZ at checkout! luxurious house slippers are built for comfort—memory foam insoles and a fuzzy faux fur lining make for the ultimate slipper experience. Slip them on, kick back and enjoy the amazing comfort of these slippers. Great after a long day of work, cozy during a cold winter evening and functional for lounging around the house. Pembrook slippers are comfy enough for wearing indoors and sturdy enough to quickly step outdoors and walk the dog or grab the mail. The non skid sole is thick enough to protect your feet but gentle enough that they won’t scuff your floors. If they do get dirty, no worries, they are machine washable.